The importance of the Caribbean islands in the period that might be described as mercantile capitalism. The only other historian who I have read who has zeroed in on this time and place was Sidney Mintz, whose study of sugar plantations made the case that these were the first modern factories even though based on forced labor. The tendency for these colonial powers to support emancipation for tactical reasons. Long before Lord Dunmore proclaimed the freedom of slaves in Virginia to help build an army opposed to George Washington, the same measures were being taken in the Caribbean islands a century earlier by the Dutch to be used against the British. As might be obvious from Horne’s last book that made the case that Washington et al were counter-revolutionaries, he rejects the bourgeois-democratic pretensions about 1776 that some on the left uphold, including it would seem the CPUSA that he reportedly belonged to or was at least a sympathizer of. The need to ethnically cleanse NY and New Jersey of the Delaware Indians, including the Munsees, in the 17th century. This was a necessary step to privatize land in the interests of petty commodity production leading up to capitalist property relations in the next century as I discussed in my article on the Munsees that appeared in CounterPunch. 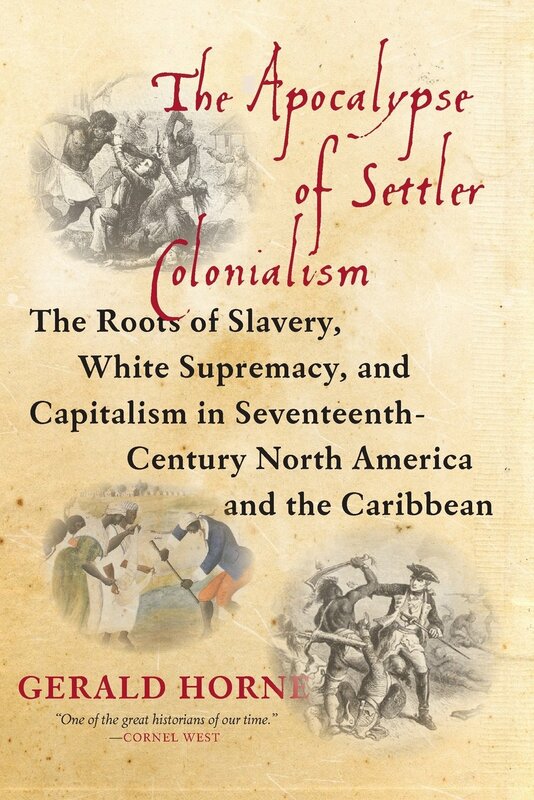 Slave-based settler colonialism was an inherently unstable process, as the bonded labor force had little incentive to ally with their masters when foreigners invaded, providing the latter with incentive to overthrow the status quo. The Dutch were convinced that the Africans would act as a fifth column on their behalf: the Dutch may have heard that an African in Chile named himself “King of Guinea” and demanded vengeance against the settlers, which could have succeeded with Dutch aid. Thus, when Dutch forces invaded neighboring Peru in the 1620s, they brought along a chest full of manumission letters to hand out to the enslaved, along with weapons. Another contingent descended upon Pisco, where they sought to foment a slave revolt. As early as 1627, there was a fear in Virginia that there would be a replay of this stratagem by the Dutch. In the early stage of Dutch colonization in the Americas, race relations were lot always informed by racial hierarchy, providing an advantage over competitors not likeminded. Anti-Cromwell loyalists in Barbados were confident that the Dutch would back them, just as those who joined Bacon’s Rebellion in Virginia in 1676—yet another landmark in the road to white supremacy and capitalism in North America—thought likewise: the French settlers who revolted in Martinique thought the same way in 1665. This meant that squashing colonial competitors was seen as important by London in seeking to prevent slave revolts. Since Caribbean islands were then seen as the embodiment of grand wealth, this argued further for building a grand navy, useful in squashing European rivals and revolts of the enslaved alike. Throughout the 1640s the indigenous of the mainland, especially the Lenape and Minquas-Susquehannock of what is now called the Delaware Valley, had played the Dutch off against the Swedes, until the latter were driven out. The Dutch were not unique in this regard, and settlers perpetually had to account for the prospect of confronting shrewd Africans and indigenes backed by European rivals. U.S. Founding Father George Mason reminded his fellow rebels that Cromwell sent instructions to arm the enslaved in order to smash royalist rebellion in the seventeenth century—and this could happen again in the wake of 1776. I haven’t but I am well-aware that our views overlap. Rediker is a FB friend and I have reviewed two of his books for Counterpunch. I will get around to reading Many-Headed Hydra one of these days, I’m sure. BTW, I think Horne is still in the CPUSA, he does events with them frequently via teleconference, most recently he did a call about the Russian Revolution last year.